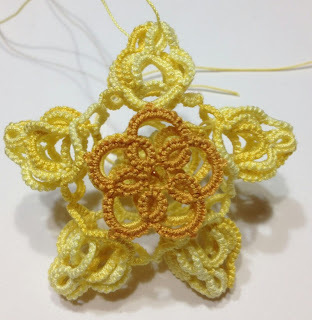 Just a week until the Finger Lakes Tatting Conference in Lodi. 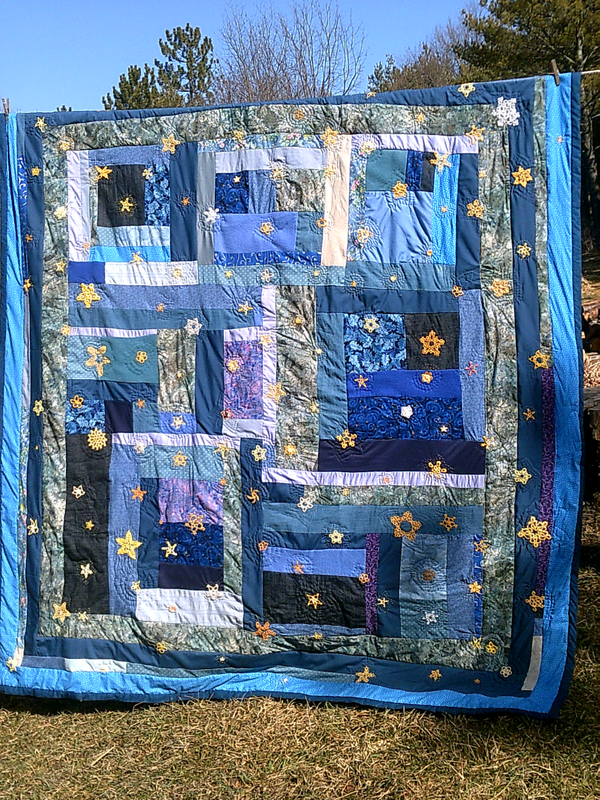 Our theme is stars! 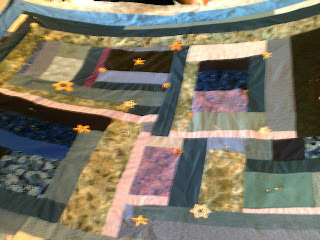 Last week I finished sewing stars from across the U.S. and Canada on the quilt and quilting around them. When I was almost done, an envelope with more stars appeared. 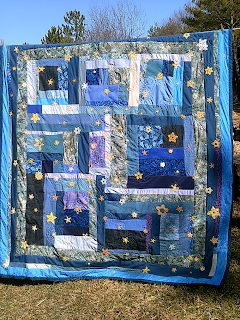 Here is our Starry Night quilt – you can see almost all the stars. It’s hard to count them all, but Bill and I estimated there’s about 135 tatted stars on the quilt – that’s a rough estimate. Could be a lot more or a few less. Chain 6, sl st in 6th ch from hk to form a ring. All subsequent stitches are made in right side of work. RND 1 [petal round]: Ch 3 (counts as first dc). 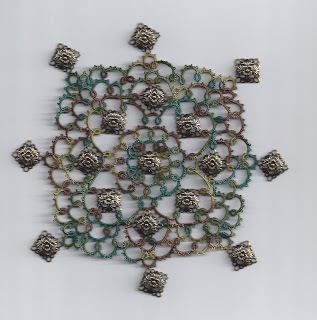 Work the following stitches inside the ring you just made, 2 dc, ch 1 [first petal made], * 3 dc, ch 1. Repeat from * 6 times more [ending with ch 1] for a total of 8 petals. Join with sl st in top 1st dc. DO NOT TURN. RND 2 [cluster round]: Sl st in next dc, sc in ch-1 sp, ch 3. (2dc, ch 1, 3 dc, ch 1) in same ch 1 sp [first cluster made]. * (3 dc, ch 1, 3 dc, ch 1) in each remaining ch 1 sp [ending with ch 1] for a total of 8 clusters. Join with sc in top of beg ch 3. DO NOT CH OR TURN. RND 3 [shell round]: 9 dc first ch1 sp [center of cluster from previous round]. * Sc in next open space, 9 dc in next ch 1 sp. Repeat from * around, for a total of 8 shells. Join with sc in top of beg sc. DO NOT CH OR TURN. RND 4: sc in each stitch [ edges will/should curl in toward center of work]. I use a g-hook with worsted weight yarn, a d- or e-hook for sport or baby weight, and a b-hook for sock weight yarn. I have found that some people crochet looser with an f-hook than I do with a g-hook, so adjust to suit yourself. 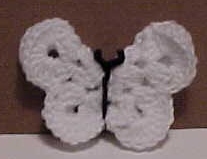 Body/antennae can be formed using ½ of a standard [12-inch] chenille wire, or a standard 6- to 8-inch pipe cleaner. 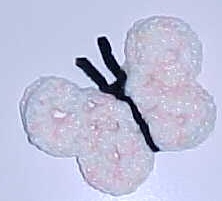 If you crochet very loosely, you might want to use 7 inches of chenille wire. I use the end of a small hook to curl the wire ends [either in or out] so as not to leave an exposed point. 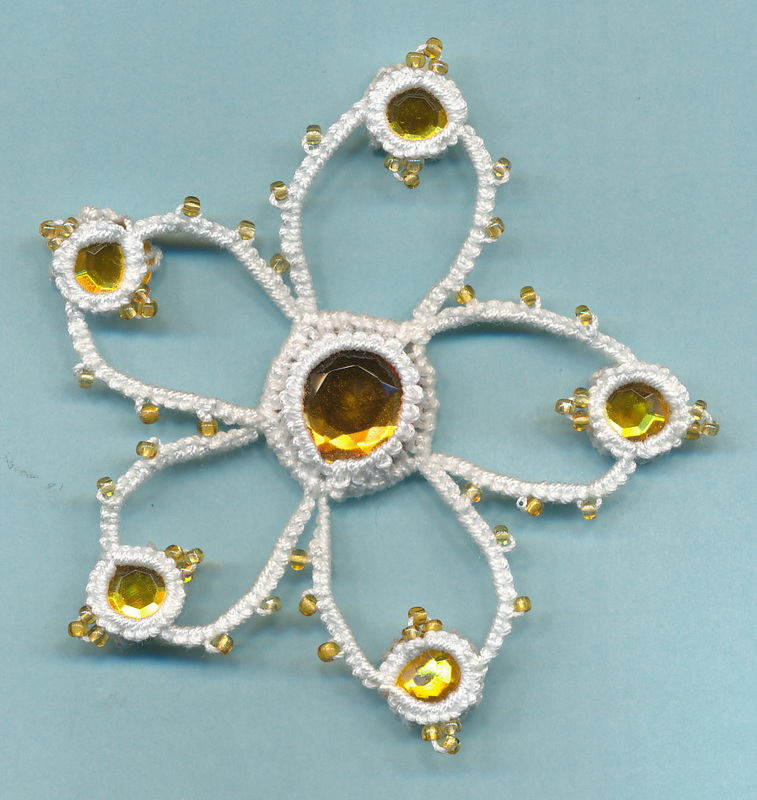 Come join us in Lodi, NY (April 12-14) for our star-studded 15th International Tatting Seminars in the Finger Lakes! Classes fill up quickly so be sure to register early. You can download the class descriptions and information here and here's an updated registration form. Lorena Finnerty will be teaching Nina Libin's lovely Blue Star Earring and Pendant set. 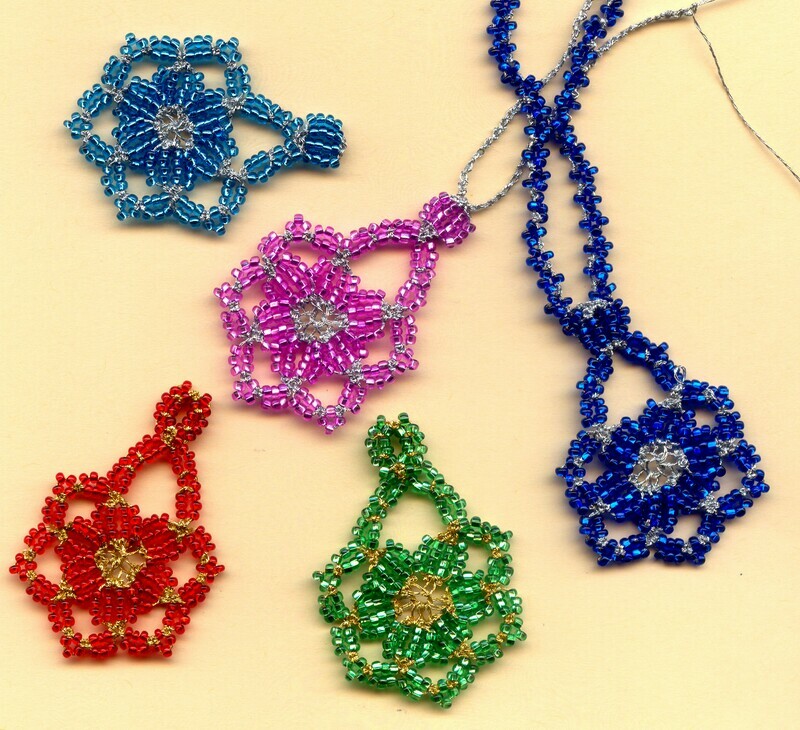 Grab your tatting needles and go Celtic with beautiful Celtic Star taught by Kelly Dunn. 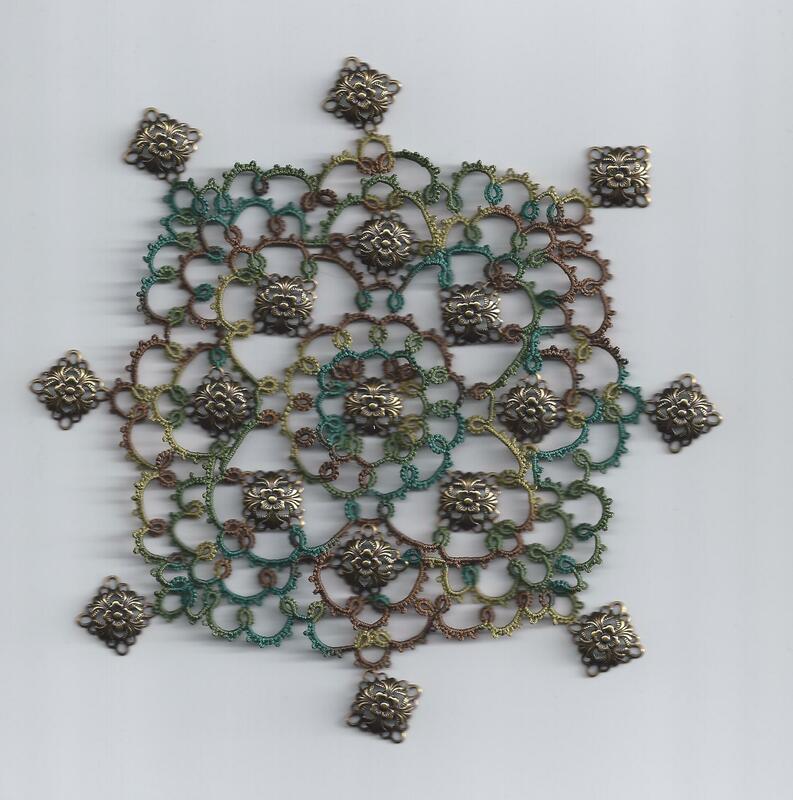 This gorgeous Star Attraction Doily will be taught by Ginny Weathers. 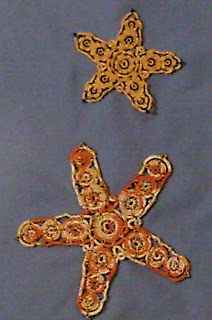 Get your bling on as Kay Judt teaches her Sparkle Star design. 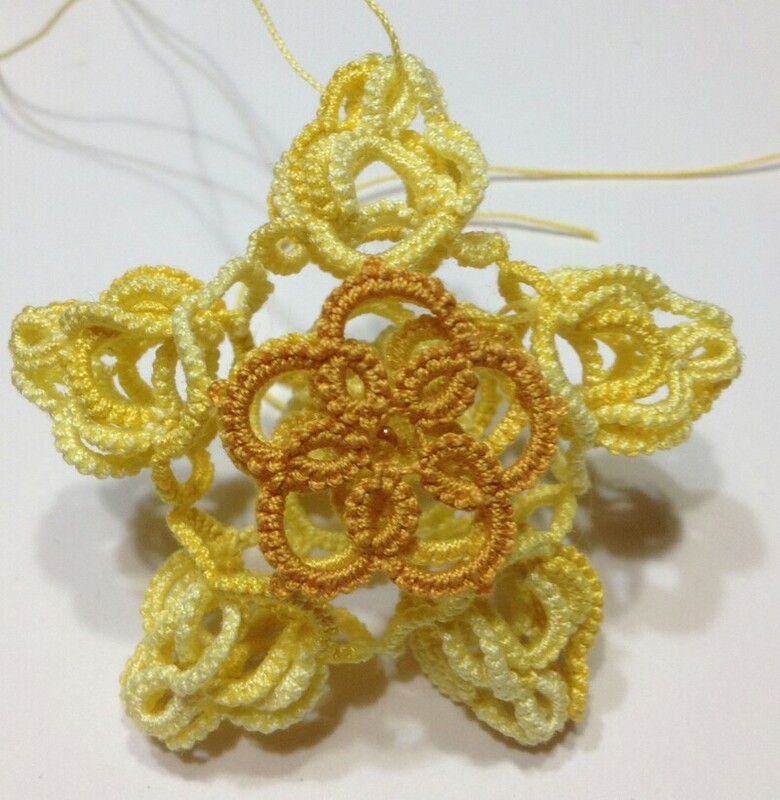 Add some depth to your tatting as Vicki Clarke shows us how to make this intricate 3-D star. 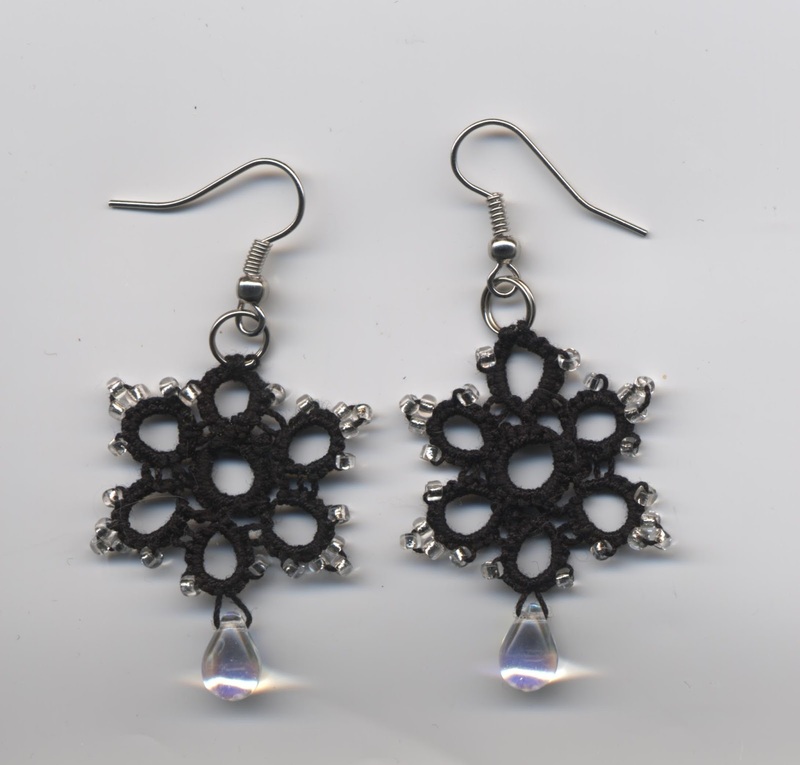 Make these lovely Starry Nights earrings by Sandra Eichelberger. Expand your skills by learning the beautiful technique of block tatting with Mary Ellen Davies. 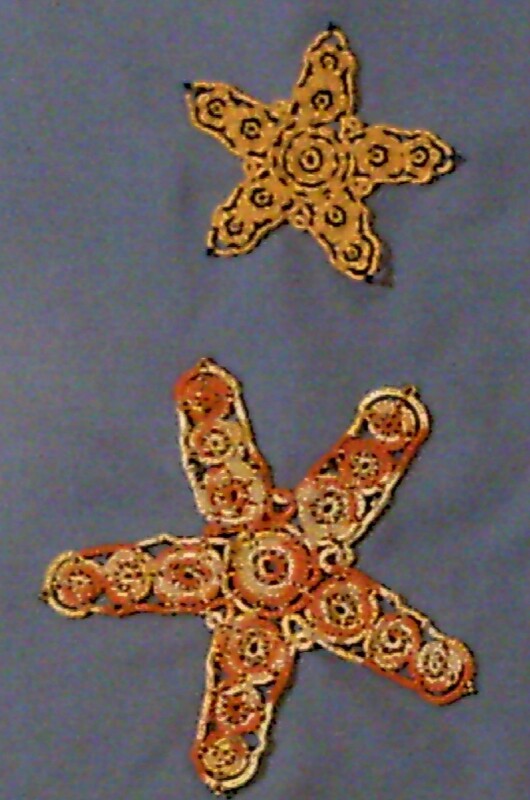 Create swirling and twirling Catherine Wheel Stars designed by Karey Solomon.